Multiple Sclerosis (MS) is an unpredictable, often disabling disease of the central nervous system that disrupts the flow of information in the brain, optic nerves and spinal cord. At the Multiple Sclerosis Center, part of Hackensack University Medical Center’s Neuroscience Institute, our multidisciplinary team of experts are dedicated to delivering you comprehensive and coordinated care to improve your symptoms, minimize your pain, and help you live a fuller life. Here, we believe you and your family are vital members of the care team, which is why we are committed to working closely with you on your individual course of treatment. To learn more about Multiple Sclerosis at Hackensack University Medical Center, please call. The Multiple Sclerosis Center addresses the complex care needs of people with MS and related disorders such as neuromyelitis optica, transverse myelitis and acute disseminated encephalomyelitis. While MS treatment options have dramatically improved over the years, the condition can still lead to significant challenges. At Hackensack University Medical Center’s Multiple Sclerosis Center, the goal is to treat your individual symptoms in order to improve your quality of life and neurological function. Chair of the Neuroscience Institute and the Department of Neurology. 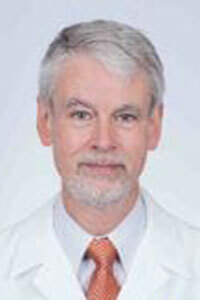 Dr. Thomas is a clinician-scientist with extensive management and programmatic leadership experience. He is board-certified in neurology, spinal cord medicine, and neural repair and rehabilitation; and fellowship-trained in neuro-immunology and AIDS neurology. A practicing neurologist since 1987, he previously served at St. Louis University Hospital, Cardinal Glennon Children’s Hospital and the St. Louis VA Medical Center as a tenured professor of neurology with appointments in physical therapy and molecular virology, founder and director of two National MS Society Multiple Sclerosis Centers and the Hereditary Neuropathy Foundation Center of Excellence, and director of the Clinical Research Unit. He is past associate chief for the staff of Spinal Cord Injury Service at the St. Louis VA, where he also founded and directed the Pain Rehabilitation Service. Dr. Krupa Pandey is a fellowship trained multiple sclerosis neurologist who has extensive experience with clinical trials and a passion for research within the field. Dr. Pandey completed a double major in Art History and Biological Sciences at Rutgers College in addition to accomplishing an honors thesis in Neuropharmacology. This is where she began her neurological career. She went on to complete medical school at Ross University in Dominica and a neurology residency at Georgetown University School of Medicine. Part of her clinical and research training included time at the National Children’s Hospital in Washington DC where she saw children with rare forms of demyelinating diseases such as Neuromyelitis Optica and pediatric MS. This experience having sparked her fascination with MS, she pursued her MS fellowship at the MS Center at the Mount Sinai School of Medicine and was awarded the National Multiple Sclerosis Society Clinical Fellowship Award and the Brigham and Women’s/Partners Multiple Sclerosis Clinical Fellowship Research Award. 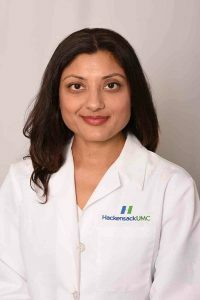 Since completing her fellowship Dr. Pandey has exclusively worked as an MS specialist and has taken care of over 3,000 patients with MS. She serves on the NJ National MS Society – Healthcare Advisory Committee and was asked to sit on the NJ State Governor’s Multiple Sclerosis Task Force. She is an assistant professor of neurology at Hackensack Meridian School of Medicine at Seton Hall University. Dr. Pandey is passionate about the care of patients with MS. She is determined to help patients stay as independent as they can, and be knowledgeable about the resources they may need. She is looking forward to working with a team of healthcare providers such as nurses, physical and occupational therapists, neuro- and counseling psychologists, dietitians and other medical subspecialists to provide a holistic approach to a patient’s MS care. 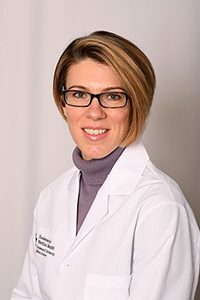 Dr. Elizabeth Kera practices neuropsychology in the Department of Neurology and Neuroscience Institute of Hackensack University Medical Center. She is board-certified in Clinical Neuropsychology through the American Board of Professional Psychology (ABPP). Dr. Kera obtained her BA in Psychology as an Honors Scholar at New York University in 2000. In 2006, she completed her PhD in neuropsychology at the Graduate School and University Center of the City University of New York. She completed her internship in neuropsychology at Long Island Jewish Medical Center, and a two-year postdoctoral fellowship in neuropsychology at Children’s Specialized Hospital of New Jersey. Dr. Kera has co-authored numerous publications and presented on a variety of topics in neuropsychology and is active in several neuropsychological organizations. She specializes in the neuropsychological assessment of both pediatric and adult populations, focusing on conditions such as multiple sclerosis, Parkinson’s disease, concussion, traumatic brain injury, epilepsy, and stroke. Combining her extensive expertise in neuropsychology, neuroscience, and developmental psychology, Dr. Kera partners with patients, their families, and other healthcare professionals to provide a comprehensive assessment of cognitive functioning, and to develop appropriate treatment and rehabilitation recommendations. 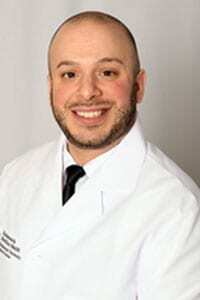 Dr. Brian Amorello is a licensed Counseling Psychologist in the Department of Neurology and the Neuroscience Institute of Hackensack University Medical Center. He earned a BA in psychology from Montclair State University and an MA in Counseling at Seton Hall University, then became a Licensed Professional Counselor. In 2016, he completed a PhD in Counseling Psychology at Seton Hall University, including an internship accredited by the American Psychological Association at the University at Buffalo and a fellowship at the University of the Sciences Student Health and Counseling in Philadelphia. He serves on the faculty of the Department of Neurology at Hackensack Meridian School of Medicine at Seton Hall University. Dr. Amorello has presented his research at state and national conferences, and has chaired various psychological organizations around New Jersey. He specializes in working with individuals across the life span with a variety of mental health concerns, including depression and anxiety. His work is grounded in cognitive behavioral therapy (CBT) and mindfulness, and he works with patients and their families to develop treatment goals that help patients optimize their quality of life, emotional wellbeing, and health behavior. Dr. Amorello is excited to work with the team at the Neuroscience Institute, because patients’ physical and psychological needs are best served by a collaborative interprofessional approach. He believes that strong relationships with patients, families, and healthcare professionals provide individuals with the opportunity to achieve both physical and mental health. Lead by Center Director Florian Thomas, MD, MA, PhD, MS, Chair of the Neuroscience Institute and the Department of Neurology at Hackensack University Medical Center, the Multiple Sclerosis Center brings together a team of specialists who work collaboratively on an individualized treatment plan to meet your physical and emotional needs. This team of physicians, dietitians, psychologists, nurses, rehabilitation therapists, and support staff is here to provide convenient, patient-centered care—including access to diagnostic testing, assistance with appointments and scheduling, and multiple consultations in one visit—so your experience is as seamless as possible. Through our integrative program, your physician and psychologist collaborate and coordinate your care, treating your MS both psychologically and physically. You can often see an MS physician and a psychologist on the same day, avoiding the need to travel to multiple appointments in different locations.